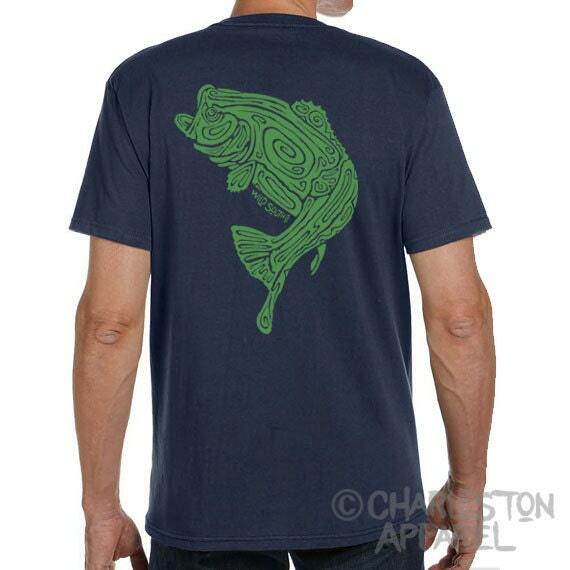 The Large Mouth Bass Fish Shirt Design is part of our Primal Line and is Hand Screen Printed on a soft, 100% organic ring spun cotton shirt. 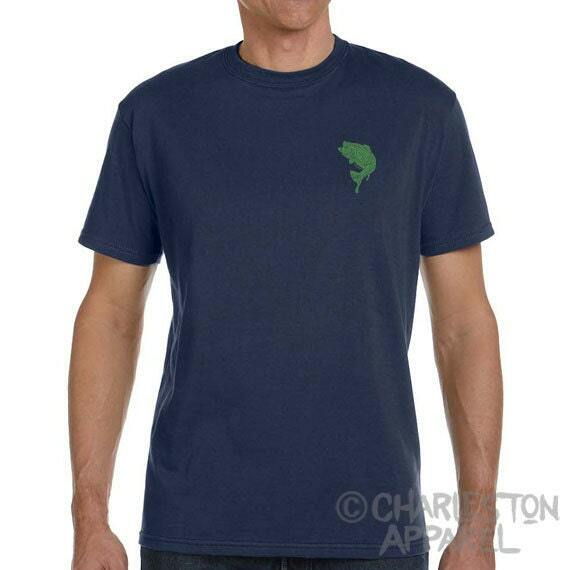 Men's Shirts are 5.5 oz, which has a mid-weight, soft feel. These run true to size, which is a comfortable fit.